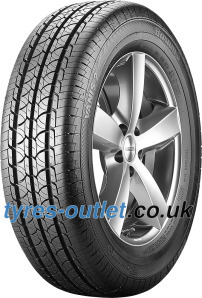 Vanis 2 tires offer outstanding economy and safety reserves and superbly balanced properties on the road. High level of safety thanks to short braking distances on dry surfaces. Tie bars in the pattern centre and stable block type tread ensure optimised stiffness distribution in the pattern and increase the longitudinal stability in the blocks. This shortens braking distances on dry roads and increases safety. Excellent price-performance ratio thanks to improved mileage. The flat contour gives the Vanis 2 a large ground contact area which leads to a higher wear volume. In addition the low-wear compound increases the mileage and therefore the economy. 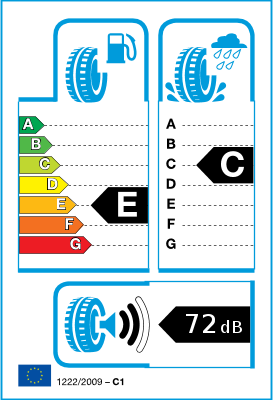 Increased driving comfort thanks to reduced noise level. Noise breakers in the shoulder section reduce road noise and improve driving comfort.